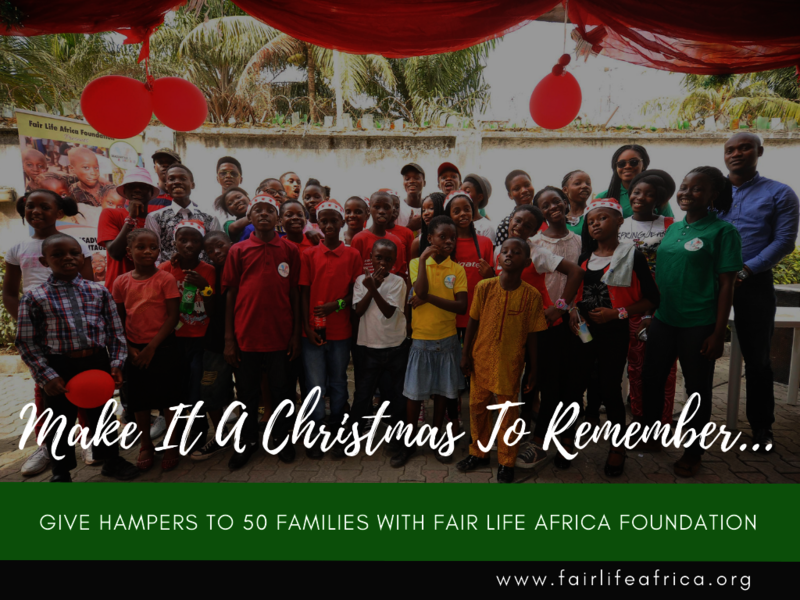 Last year, we put in all effort to make it a Christmas to remember for our kids at FLA. The difference was we started out early, and reached out to our friends inviting them to contribute towards hampers we wanted to give to our children and their families. And we are so pleased that so many people bought into our vision and supported us to make it a reality! 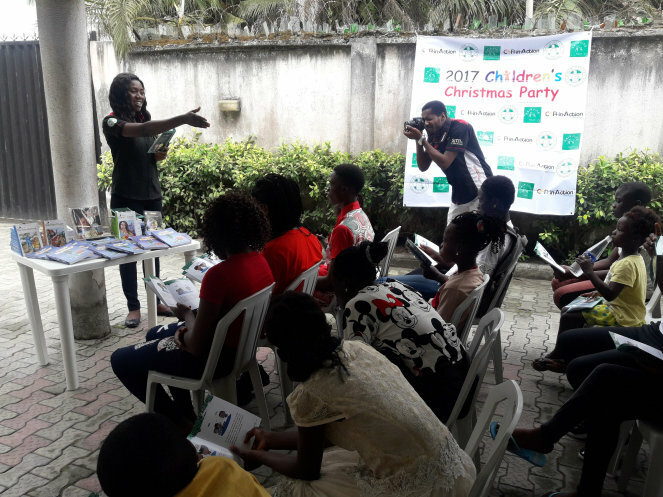 On the 21st of December, our children left their homes and communities to come together at the FLA Home for some pre-party planning and relaxation at the Piccadilly Hotel and Suites. After they'd rehearsed, they enjoyed swimming and, later, dinner and ice cream. They were up bright and early to prepare for the day's activities on the 22nd. Those who stayed nearby at Ikota came from home, while those living as far as Songo Otta, Ogun State, resided in the home. They enjoyed a lovely breakfast, before changing into their specially designed outfits for the day. Each child was given ankara fabric to sew a lovely outfit (asoebi) for the event. We thought it was a little better than T-Shirts, because the children's individualism and sense of style shown through, and it's something they can wear out at other occassions too. Their families also attended, as well as 19 children from our waiting list, whom we had invited to come with their families. We ended up catering to over 200 people, but there was food and drink enough! 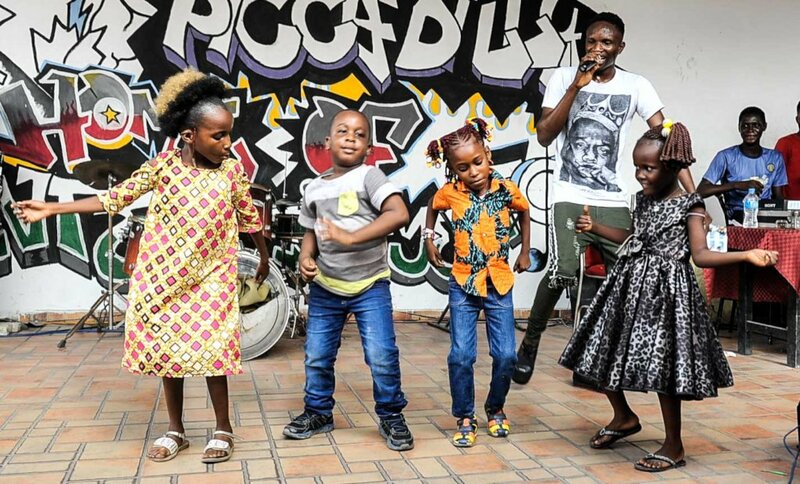 The children gave their presentations in songs, dance and drama, and Victor (one of the winners of our Talent Search Competition in 2015) was our MC for the day. He was totally awesome! He is really an entertainer. 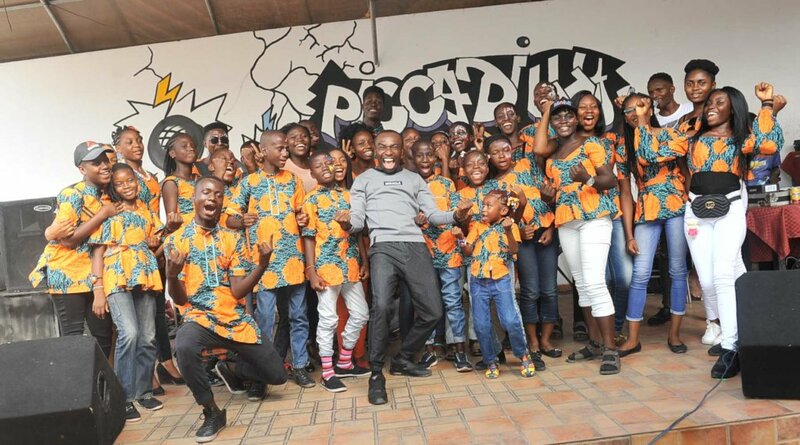 Two guest artistes, Belmon and Ukenn, also came along to grace the day and sang their hit songs for the children. Belmon sang "It's Party Time" and Ukenn sang "Turn Up" and a song he is yet to release, "Special Star". We were priviledged to be the first to hear it. The children got on stage and danced their hearts out. Even their mothers got on stage too! 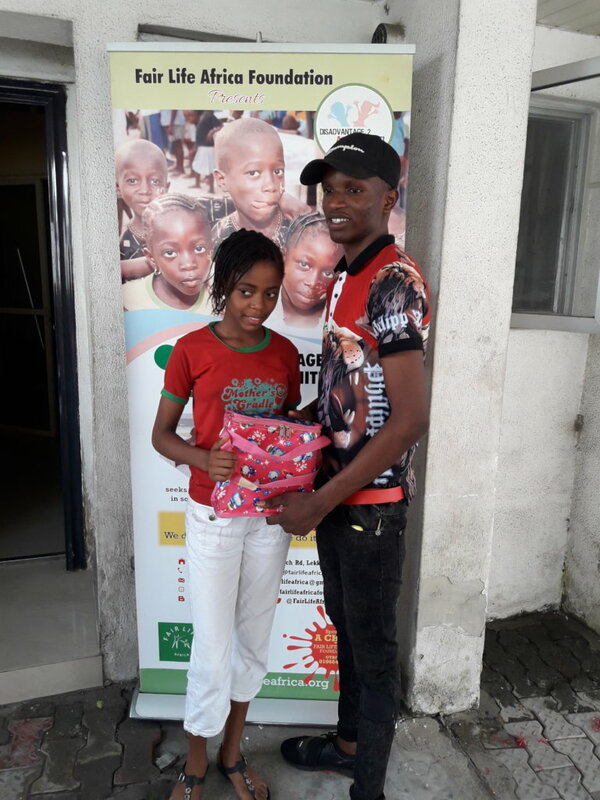 We also used the occassion to present gifts to our graduates (those who have completed secondary schooling and are moving on to University), and gave special presents to our kids with sponsors. Each of the 46 families in attendance took home a hamper we had packed full of so many lovely food supplies for the Christmas celebration, as well as a whole chicken! They were all thoroughly grateful for the gifts. We really want to say thank you to every single person who gave towards the event! We greatly appreciate our child sponsors, who give faithfully each month or quarter, to ensure that we are able to settle the fees of all our children. Since the party, we have added four children to those who have sponsors, and we are eager to add more! Please do consider becoming one of our child sponsors. 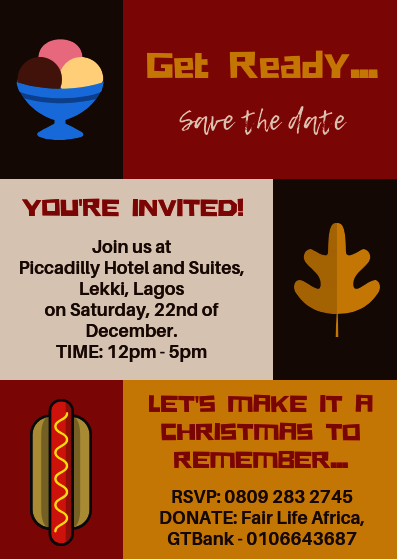 Aside this event, we were contacted about ten days before Christmas by Chizoba, who was a patient at a hospital in Egbeda, and had been prevented from leaving for months because of unpaid fees. Five other women were with her with similar complaints. 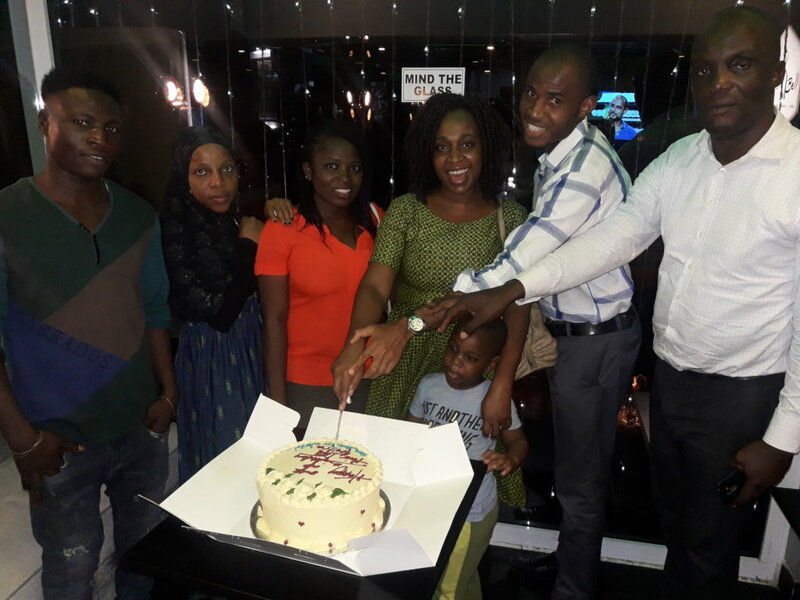 One had been there for nine months, and their balances ranged from N50,000 to over N200,000. We ran a campaign on social media and reached out to a couple of organisations that had partnered with us before. We were able to raise the money to settle all their fees and get them home in time for Christmas! GSI Foundation contributed N210,000 to complete the bills! God bless everyone who trusted us and assisted us in this effort. But it isn't all good news... We saved the worst for last, because we just don't know how to say it. We can hardly believe it is true, considering all the effort and prayers we put into it. But on the 17th of December, we learnt that Regina, who we had assisted with medical treatment to fight cancer, passed away during a follow up visit to the hospital. It turned out that they had been wrong and the cancer had already spread. It was so sudden and heartbreaking. We visited the family a couple of days later to express our condolences, and also share with them the gifts we had prepared to give them for Christmas, anticipitating that they may no longer participate in our programme. Regina left behind two children, one of them who is still in receipt of our support. Her school fees for this term has been settled, and her family are preparing for the funeral. This child doesn't have a sponsor though, but we are committed to helping her and her family. 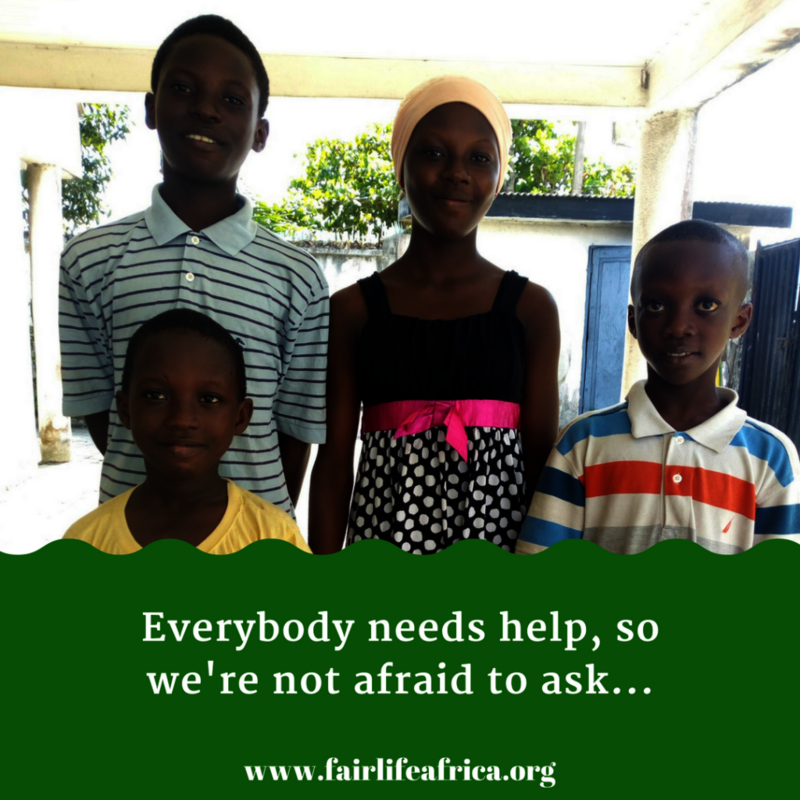 If you'd like to know more and how you can support them, please email us at support@fairlifeafrica.org. We sure hope this didn't dampen your spirits too much. We are optimistic for a great 2019 and wish you a wonderful one in deed. Thanks for everything you do and have done to make our work possible. Hampers for all the families!!! The dancing competition was lit! Check out our Instagram page for pictures and videos! What is the value of a life? Can you monetise it? Often, it takes a catastrophe for us to realise the value of our own lives and the lives of our loved ones. When your house is burning down, and all the things you spent your life working to accumulate disappear in the smoke, and you rush back in because someone you love is trapped in the flames, you realise that life is priceless, and no amount of money will ever replace it once it is gone. We get approached by people facing desperate situations a lot, and it is hard for us to help everyone. We have our programme in place, so that we know those who we can help, and faithfully support them to achieve a better life for themselves. But it still hurts to say "no" to so many others, who may or may not qualify for our support, but really need help! Regina would have been one such woman. 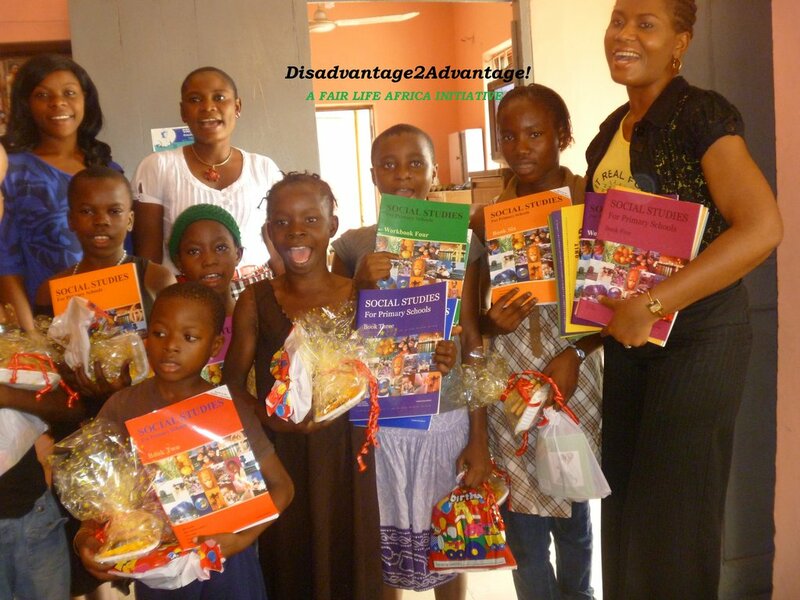 But she was in a privileged position because her daughter, Ngozi, is one of the children we have been supporting through our Disadvantage to Advantage Initiative. We learnt from one of our regular visits to check on the family that Regina was ill and had been undergoing tests and receiving treatment for an ulcer in her left breast. She needed more money to do some necessary tests, and we gave her that support, praying that the results would come out negative, and she would be clear of cancer. However, it wasn't the case, and she needed to do surgery urgently, so that the cancerous cells wouldn't spread. We were in over our heads and didn't have the funds for it. So, we reached out to another organisation we knew, but they said they couldn't help. Then God showed up for Regina! A good samaritan, the man behind GSI Foundation, reached out to us to ask if we knew people in need of financial support with their education or health. The timing was so wow, and we quickly told him about Regina. After we sent the documents confirming her diagnosis and the hospital bill for her surgery, GSI Foundation decided to support Regina, through us, and settled her medical bills for the operation. The surgery was carried out successfully, on Thursday, 4th October and we visited her regularly while at the hospital to know how she was doing. Regina stayed at the hospital on the Doctor’s advice for 14 days, so she could recuperate well. 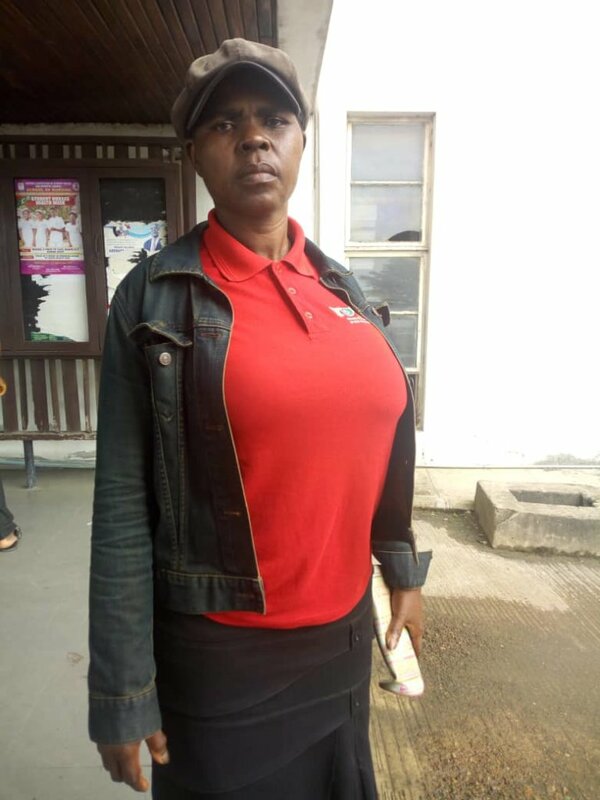 She was discharged on Tuesday, 16th October and is currently on appointment to see her Doctor at Lagos University Teaching Hospital every Tuesday for routine checks. 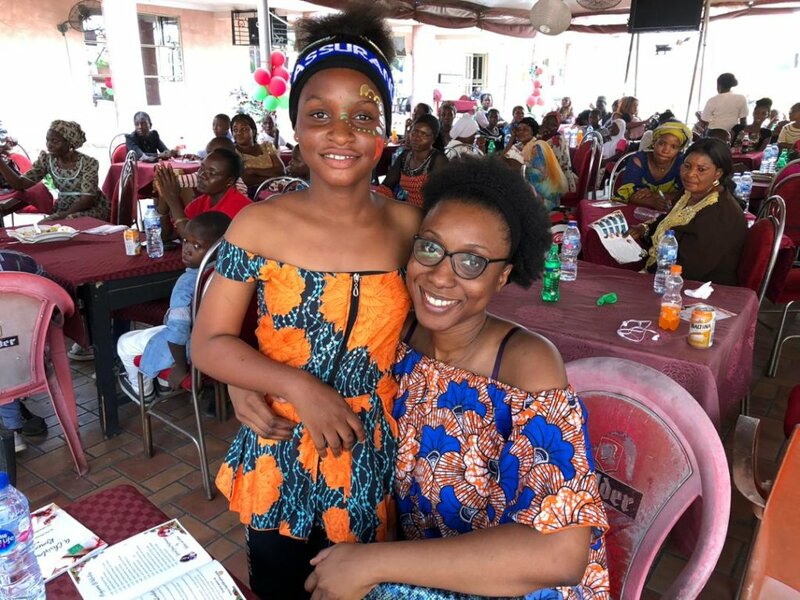 Ngozi and her mom are so happy that we were able to help her mom fight cancer, so that they can continue to thrive and Ngozi can complete her education and excel. The smiles on their faces after hearing that the surgery was successful and the threat removed was PRICELESS. We can't bare to think how they would have coped if GSI Foundation hadn't come along to assist. We are so grateful to everyone who supports our work and gives us the opportunity to make a difference in the lives of others. Your contribution, however small, is PRICELESS. God bless you! PS: We are organising a party for our Kids this Christmas, and posted details about it on our blog! We'd really love for you to come and invite you to support, however you can. Check out our latest blog post, THIS CHRISTMAS, GIVE THE GIFT OF EDUCATION. 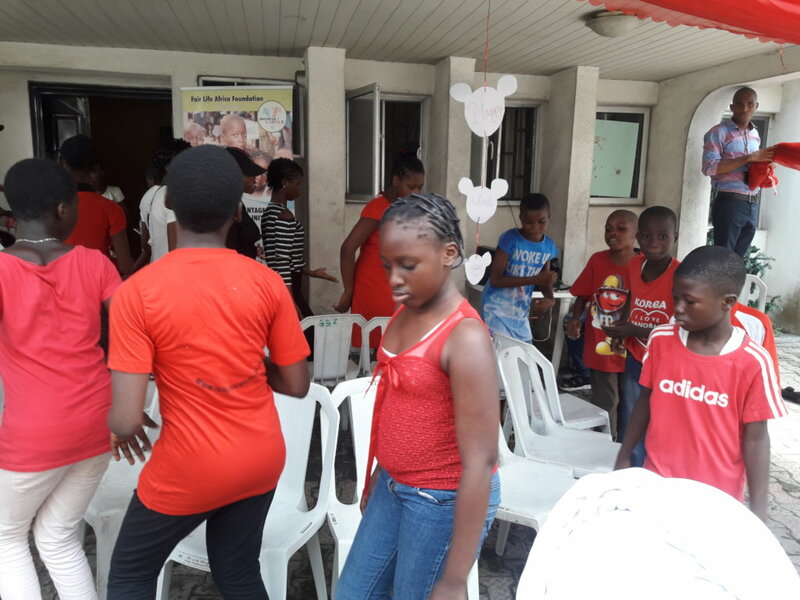 For Children's Day this year, our kids organised a fundraiser to raise funds to give back to those less fortunate in their communities. We wrote about this in our last report. 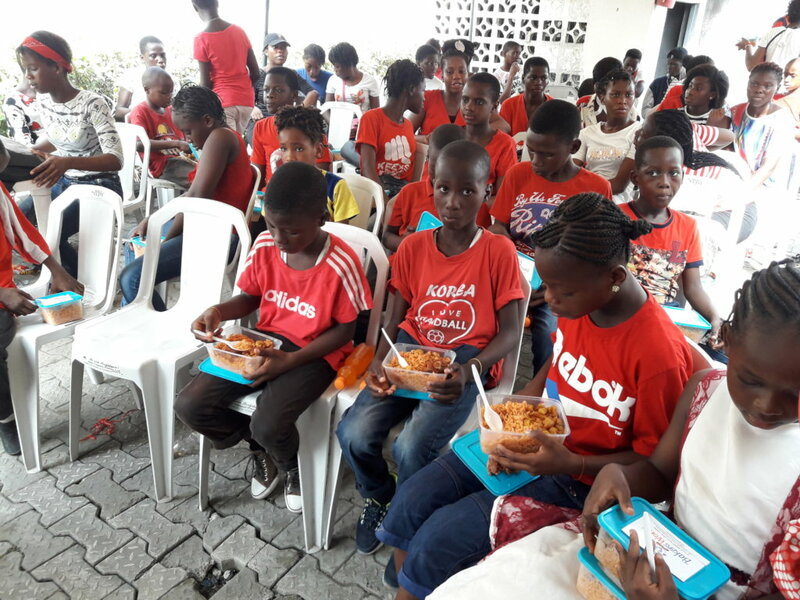 In June, we used the funds raised to get 250 foodstamps via Give Food Stamps Initiative, which we distributed at Ajegunle, a poor community where a lot of our children reside, on Saturday, the 9th of June. The recipients of the food stamps are able to redeem them for food via local food sellers registered with Give Food Stamps. 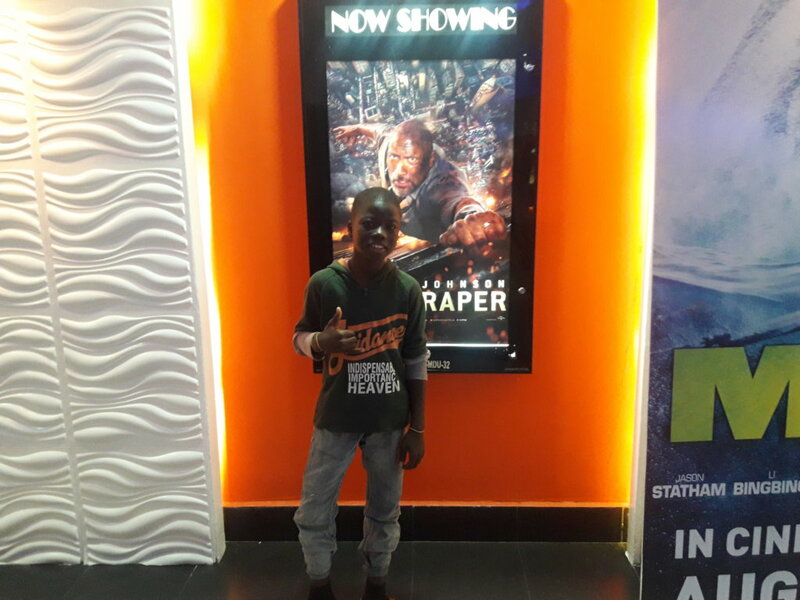 Yesterday, the kids were taken on a trip to the Cinema to watch Skyscraper, which they loved! It was a contrast to the previous day's hard labour! Earlier in the day, they had received a talk by Mr Nathaniel from the Mental Health Foundation on Depression, seeing as it is an important issue that relates to the children too. 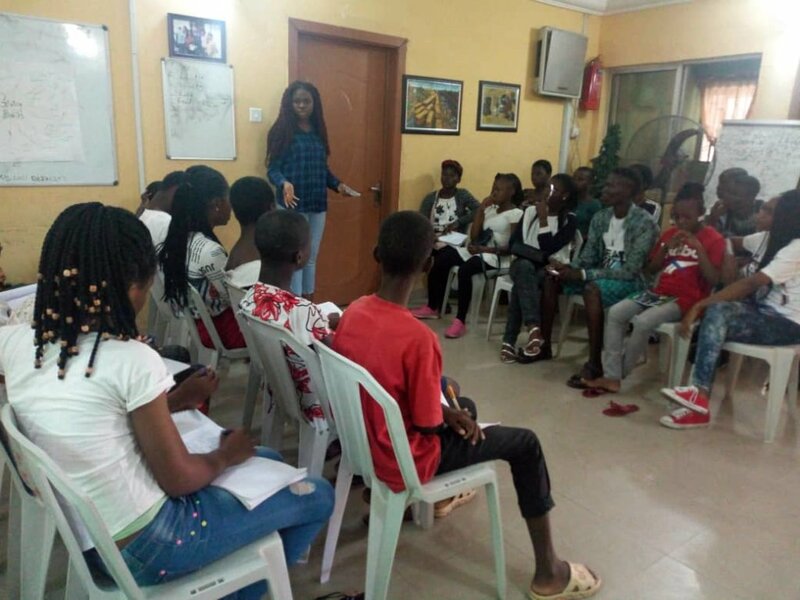 On Monday, Mrs Obioma, an FLA Volunteer, took them on a lesson about Giving Back, teaching them why it is important and the many ways they can make a positive contribution to their society. Today, they are having more trainings, and tomorrow, they will be visiting a home for the elderly, to see that there are many needs in society, and also to lend a hand too! 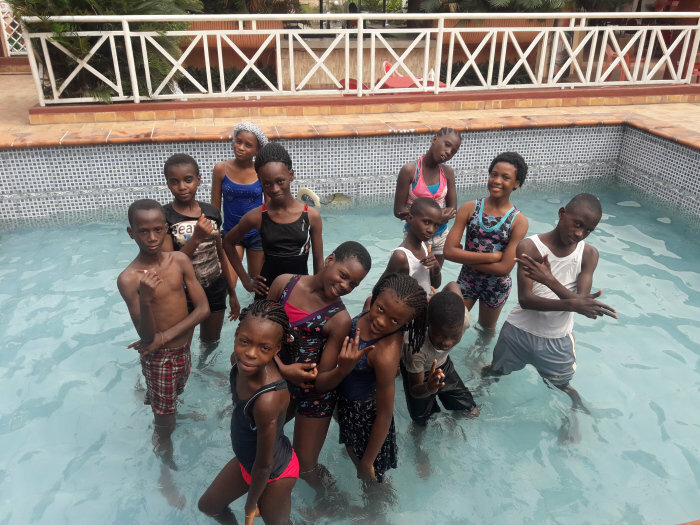 The Summer Camp is running til the weekend, when we have a beach outing planned and more talks from our volunteers and mentors on various issues that concern our children. We are so happy that we can engage the children in these activities, and help them see beyond their own circumstances, to be receptive to others' needs. It is indeed more blessed to give than to receive, and we don't want our kids to miss out on it by thinking that they are too needy, and not seeing themselves as helpers of others. At the movies, catching some fun! 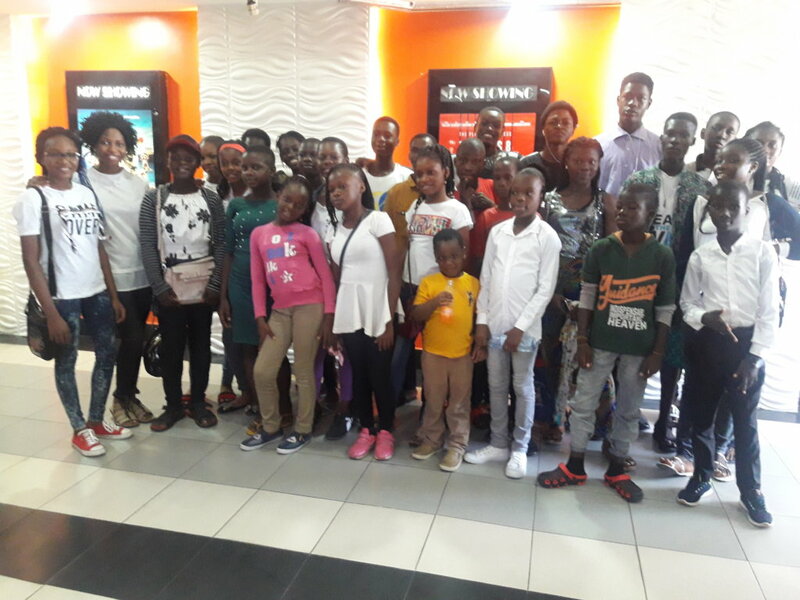 Mrs Obioma takes the kids on "Giving Back"
Lekan really enjoyed the movie Skyscraper. 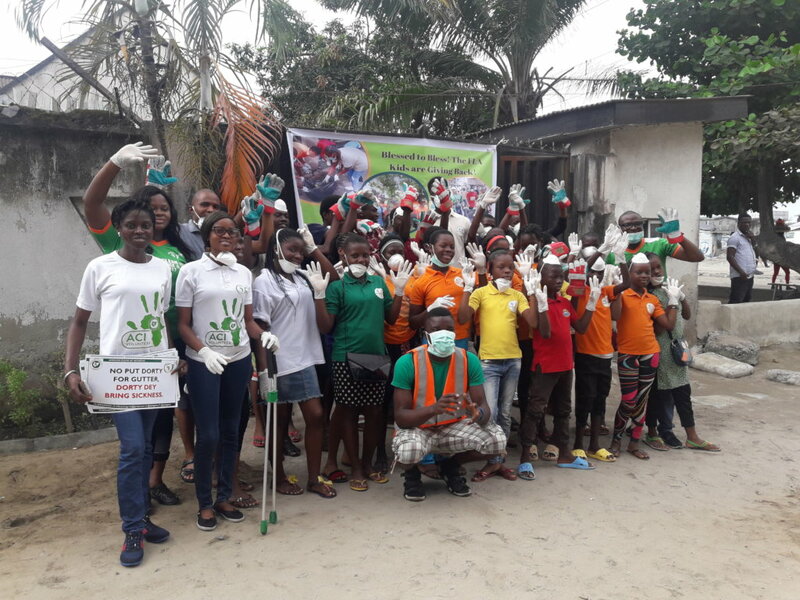 The clean up team about to hit the streets. There's a Bible story that is popularly told in Churches to encourage people to give sacrificially, and trust God to meet their own needs. It's the story of the widow, who in a time of famine, used her last oil and flour to make cakes for the prophet Elijah. That was all she had left, and she gave it believing his word that until the famine was over, the oil and flour would never run out. For those who believe the Bible, this is a very powerful story about faith and giving. At this time, we find the story particularly inspiring and motivating. We are trying to inspire our Kids to see themselves as givers, and not just receivers. We believe that we are all blessed so we can bless others. And our Kids are blessed, because we have blessed them with our blessings, and they have something they too can give to others...however little. That is why, when we were approached by Give Food Stamps Initiative to use their platform to raise funding for our children in the form of food stamps, we thought our Kids don't need this hand out... They are doing better than a lot of the poor people in their community, who do not have our support to attend school. Maybe they would be interested in raising the funds for those in their communities. Maybe it's time for them to be proactive about giving back, and paying it forward. So, we are organising a special Children's Day event on the 26th of May, to raise funds for those less fortunate. 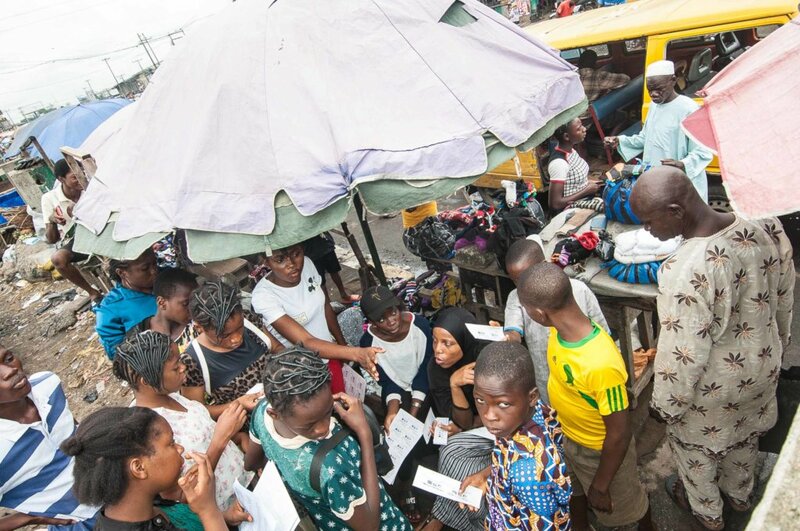 Our Kids are working together with our Volunteers to raise awareness and donations of cash and items for sale to the community at Gbara, Lekki, to give back the proceeds in the form of food stamps to 300+ people in their local communities. We are having our planning meeting this Saturday, 12th May at 11am, but have already begun to spread the word, inviting people to donate items for sale on that day. If you're in Lagos, we'd love for you to join us! Our Kids are excited about this fundraiser. Ramon, our fine artist, will have his works on display for sale. Favour will have her beads to display. Dami makes bags, and we are hopeful that she will have some to sell too. There are so many talents that our Kids have, and we hope that they also realise their potential, through this event. In other news, the children enjoyed the Valentine's Brunch we held for them this year, and more of our children brought gifts to share with each other. Those who gave thoughtful gifts were nominated by the recipients, and rewarded with special gifts from us. This is also our way of teaching them to be generous givers. Also, recently, we were approached by a Church, who wanted to know if we could take on a family of five that had come to them in need of urgent shelter. It's not really something we do, as we no longer run a Home. We also don't have unallocated funding, but we decided to collaborate with the Church and give the family respite. And we were glad we did. While with us, we assessed the four children for enrolment in our Disadvantage to Advantage Initiative, and found out that three of them qualify for sponsorship. They have now joined our waiting list for donors. We sent out an appeal on Instagram and we are hopeful that a good samaritan will answer the call to support this family too. If you are interested in sponsoring this family, or one of their three children through our child sponsorship programme, please email us at support@fairlifeafrica.org. Thanks so much! We are all challenged to give, even when we feel we have nothing left to give. Quite often, we are failing to think outside the box, and consider a resource we assume is not valuable to us, let alone others. But God sees our potential, and asks, like He asked Moses in the Burning Bush - "What's that in your hand?" Thanks for your generous gifts and blessings! A wise man once said, "If you are in the little things, you will be faithful with much... And if you are not faithful with the small things, who will trust you with more?" - (Luke 16:10-12). We couldn't agree more. As an organisation, we endeavour to keep good, accurate and transperent accounts, because we know that if we are faithful at this level, when we are entrusted with more, we will not be ashamed. We also realise that we are still in the days of small beginnings, even though we celebrated our seventh year this January. We do not yet boast of great numbers or great achievements, but we remain faithful in the small things that will overtime make a significant impact. 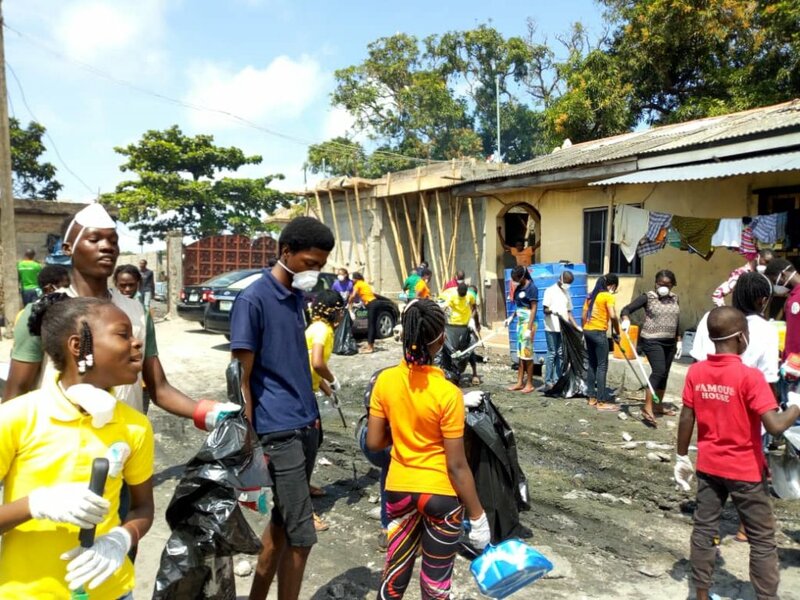 Our work is not glamourous, but through our faithfulness over two dozen under-privileged children currently enrolled in our Disadvantage to Advantage Initiative, get to have a good education, and four others are supported with their artistic vocational studies. We celebrate little things like being able to settle their school fees, exam fees and equip them with study materials. Our social workers continue to carry out assessments on new children referred to us to see if any qualify to join our waiting list. In the last six months, five children were taken off our waiting list and are now being sponsored in their education. Ayomide is the newest, and was enrolled in January. Our social workers also visit the children at school and call their homes often to check that they are doing well. One of our children's parents had a medical emergency in January and, even though we hadn't finished settling fees, we gave the urgent support needed. Thankfully, that same day, the funds needed to balance school fees and other expenses came in unexpectedly! Even that small blessing was a cause for jubilation! Some of our children are doing better than others. One of them, Christopher, has now been graduated from our programme. He has completed his Secondary schooling with the support of Shiv Lila Polymers, his sponsors. He passed his WAEC exams well the first time. He is now doing a Diploma course in Economics, and his parents are in a better position to take care of their family! We are happy that we were there when they needed us. We are also re-assessing other children in receipt of sponsorship, to see if we can make room for those who have been on our waiting list for years, as we are blessed to have faithful sponsors, who believe in our work with these less fortunate children. At Christmas time, we took our children on an outing to the Piccadilly Suites, where they had a small party by the pool and swam. 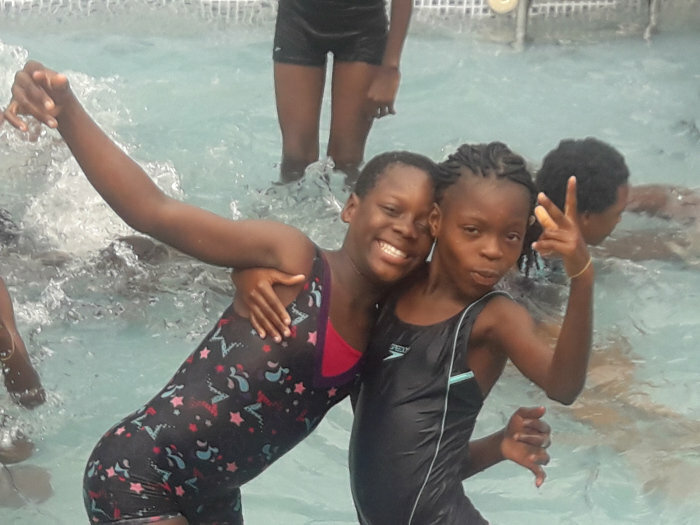 It was a change from the Christmas parties we normally have at our centre, and they had a really good time. CSR-in-Action also joined us to make the event more special. We wrote about it on our blog: Thank You For A Merry Christmas. 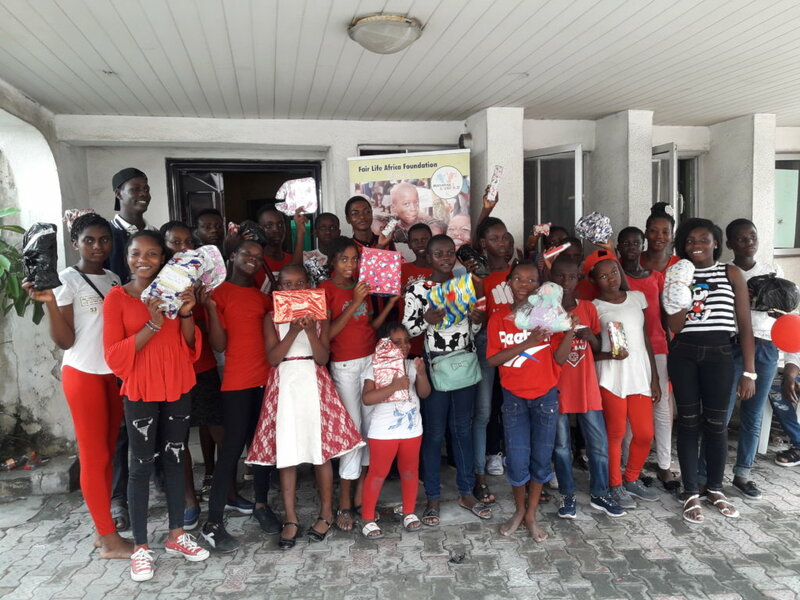 We are now preparing for Valentine's Day, and will be hosting another Brunch for the children, which is always a chance for them to come together, have fun and hopefully meet their sponsors too. 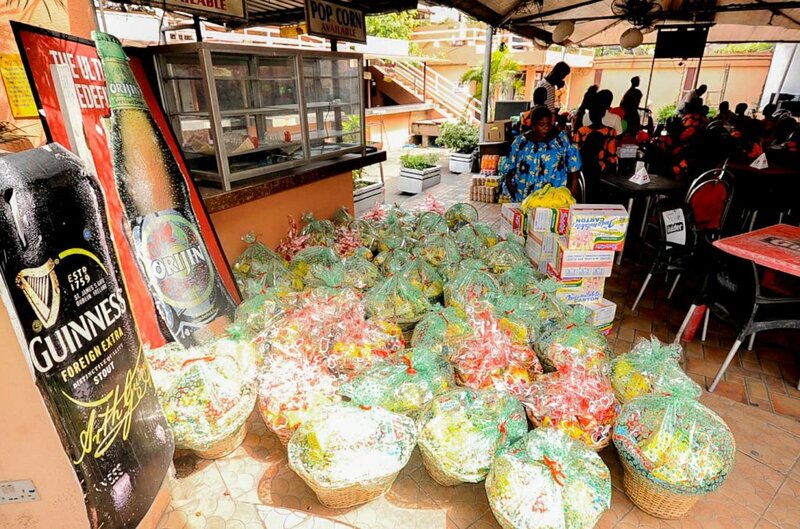 This year, our children will also be exchanging gifts that they bought or made for themselves. The children who give the most thoughtful gifts will also receive gifts from us. If you are around, do join us in Lagos, at our office in Lekki on Saturday, the 17th of February. We are so thankful to have your support. It keeps us encouraged and motivated. God bless you and help you to be faithful in the little things that count too.